For the 14th consecutive year, representatives from web offset printing houses that use Cortina printing presses from the Koenig and Bauer group will meet from 26 to 27 September 2018. As this year’s host, ink manufacturer hubergroup is looking forward to welcoming participants in Munich. In the last year, hubergroup has reorientated its focus to the field of web offset printing. After revising formulation principles and undertaking comprehensive measures to optimise the consistent quality of manufacturing through targeted, procedural adjustments, the ink manufacturer is once again enjoying market success with competitive inks for waterless newspaper printing. Around 90 participants from more than ten countries will be able to update themselves on the latest industry developments through numerous technical presentations. 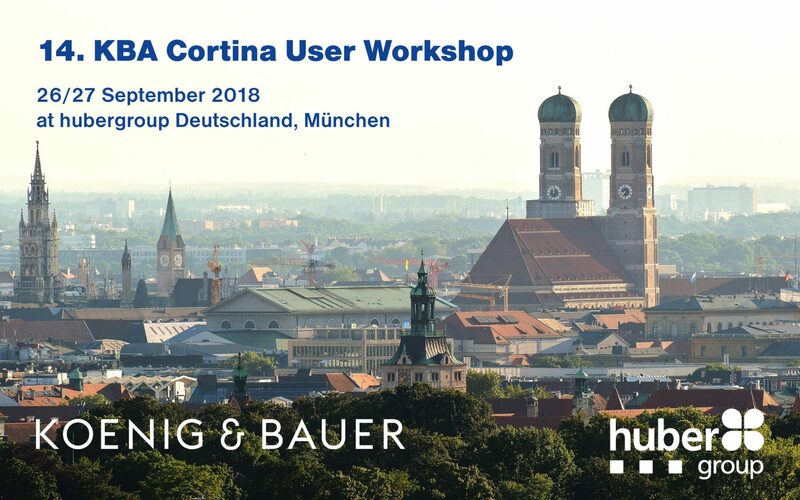 The speakers include Bernd Groh and Henry Winkler from hubergroup, a partner from the supply industry, who will speak about current experiences in waterless newspaper printing. Finally, a tour of the hubergroup production facilities will give participants interesting insight into the modern world of ink manufacturing.